Write for more information, we will be happy to advise you. Basic company information, address, company ID, tax ID, etc. Who can you contact? Workers Interkontakt spol. S r.o. You do not have to wait long, we guarantee fast delivery. We are manufacturers, so our prices are so great and do not look for competition. Call and advise you, do not be afraid to ask. We are here for you. Do not hesitate to contact us best from Mon-Fri from 7.00-16.00. Original dressing hanger INTERKONTAKT. Our baby clothes, plastic children's clothes, will always take care of your clothes with the utmost care. Treat your clothes with design straps and years of proven shapes. We offer practical cloths for dresses, skirts and trousers that will not only be a practical decoration of your wardrobe but will not disappear after a few uses. Try and see. 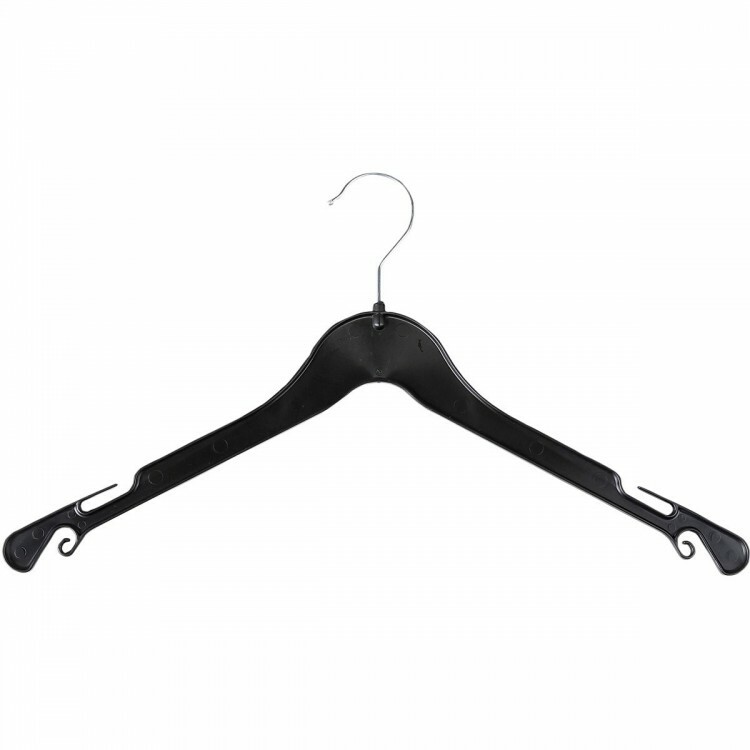 Children's plastic hanger in black design with galvanized swivel hook. Welcome to the world of Intercontact - Clothes hangers with a wide variety of sizes and quality. Wooden and plastic hangers - exactly what you are looking for for a shop or home. We'll solve your storage problems in wardrobes, wardrobes, make your life easier and more stylish to wear.